Rafflesia is the world’s largest flower which is a parasitic flowering plant discovered in the Indonesian rain forest in 1818. It was named after Sir Thomas Stamford Raffles who was the leader of the expedition in a rain-forest that led to its discovery. These flowers are rare and found in southeastern Asian forests of Malaysia, Indonesia, Borneo and the Philippines. For more details about this flower, its parts and features, please follow the link below. Below is a list of almost all the Rafflesia species known to man. Most of them were found by the Filipino Scientists after 2002. Rafflesia arnoldi is a member of the genus Rafflesia and is the largest flower on earth native to the rain forests of Southeast Asia. It is named after Dr. James Arnold and his guide Sir Stamford Raffles who found the flower. It is also called corpse flower because of its strong odour like rotten flesh. It is one of the three national flowers of Indonesia and grows up to a diameter of about 1 meter and weighs from 7 to 11 kilograms. 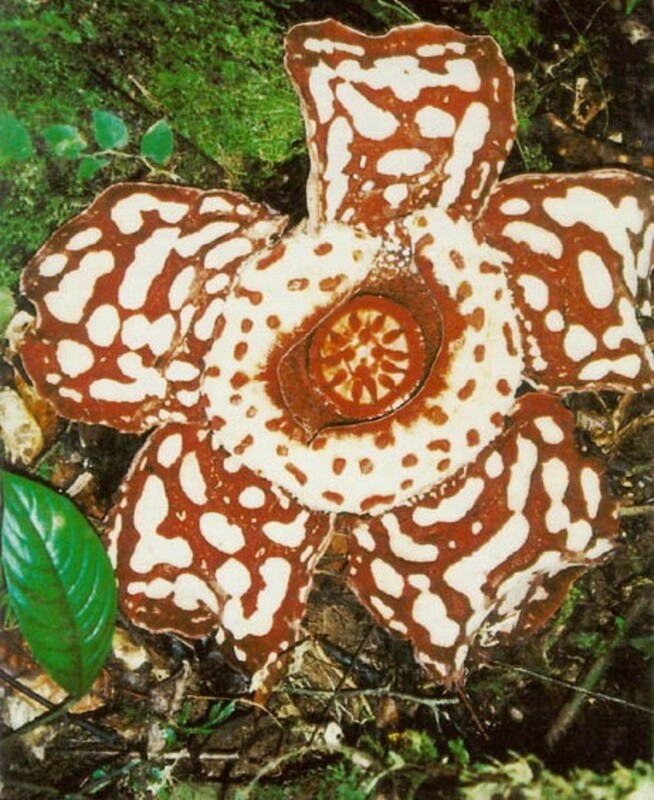 Rafflesia azlanii is found in peninsular Malaysia and they look very similar to Rafflesia cantleyi but have larger perigone blotches that look like they merge into one another. Rafflesia baletei are found in the Philippines. These species were first collected by a mammologist Danilo S. Balete. 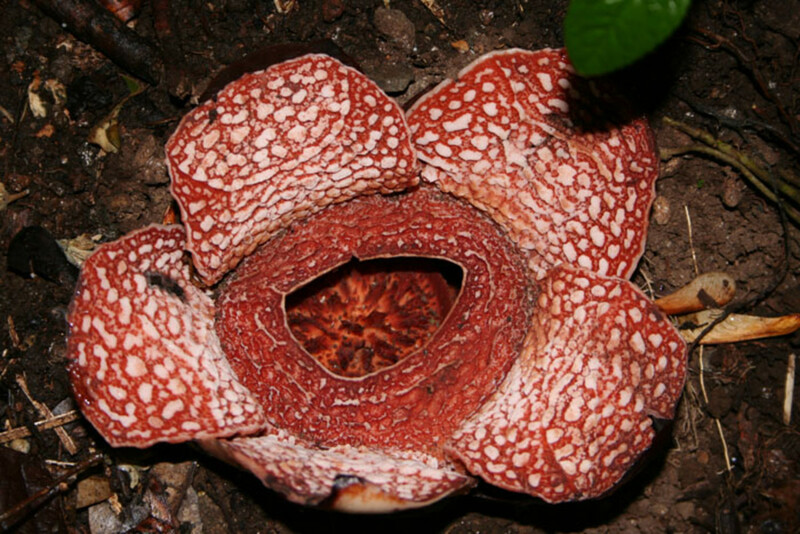 There were conflicts for many years among the scientists that it could be Rafflesia manillana and then later on after identification of the new species, the Filipino scientists named it after its founder. This is also one among the small sized species of Rafflesia. The flowers of this species are bisexual. 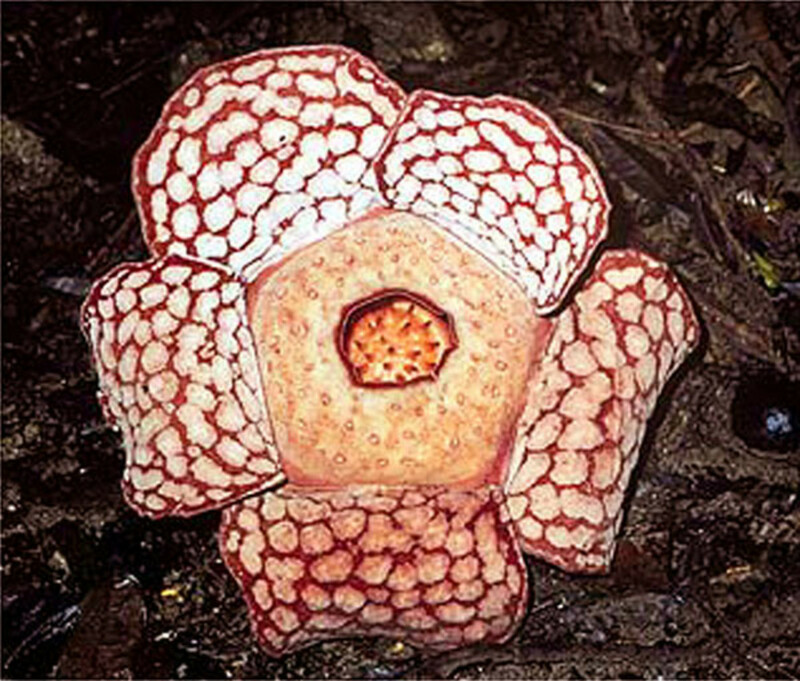 Rafflesia banahawensis is also one of the smaller species of Rafflesia found in Mt. Banahaw on Luzon. This flower has a diameter from 17 to 32 centimeters. Except a few features like the colour, shape of warts and the diaphram, this species look very similar to Rafflesia baletei. These are a critically endangered species that are found near a path leading to a waterfalls and hence are prone to be stamped by visitors and travelers. 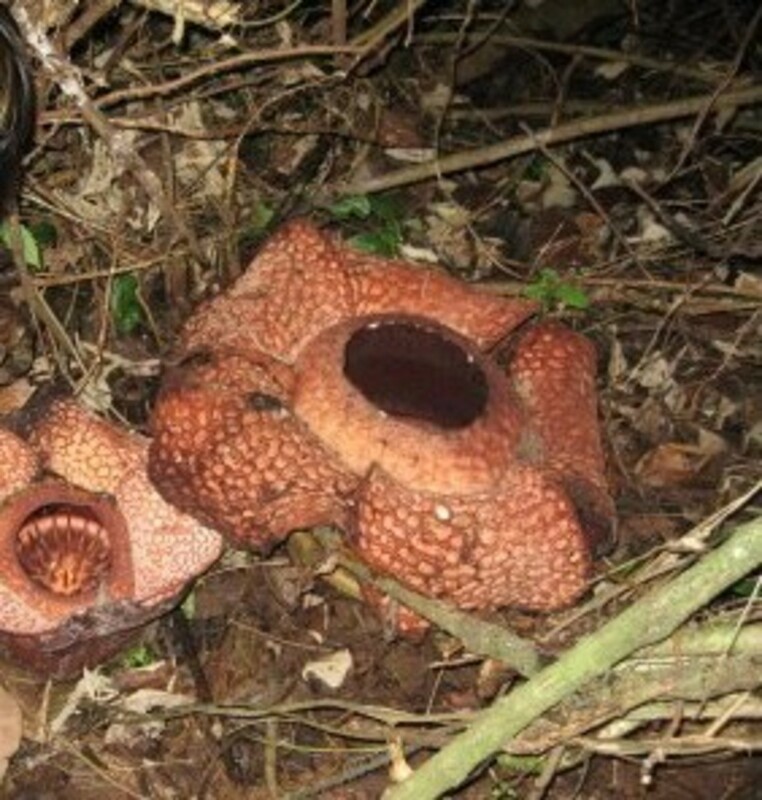 Rafflesia bengkuluensis was discovered by an ecologist Agus Susatya from the department of Forestry from the University of Bengkulu. These species are found in the Rejang Land of Bengkulu Province in Sumatra. 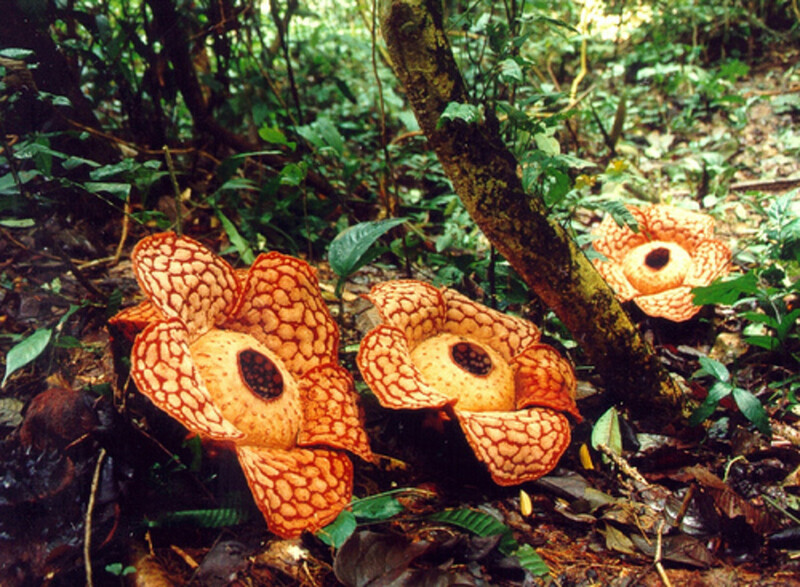 Rafflesia cantleyi is a species of Rafflesia found in the Peninsular Malaysia. 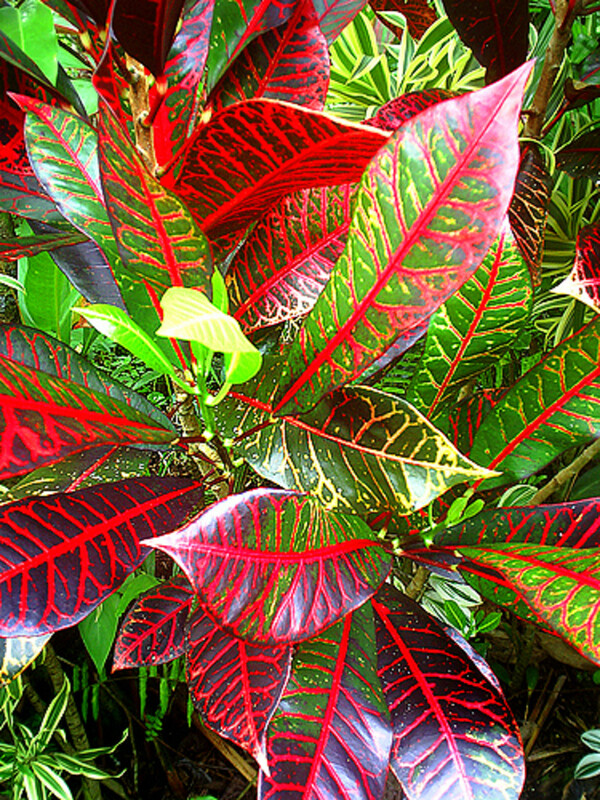 It was named after M. Cantley who was the curator of the Singapore Botanic Gardens. 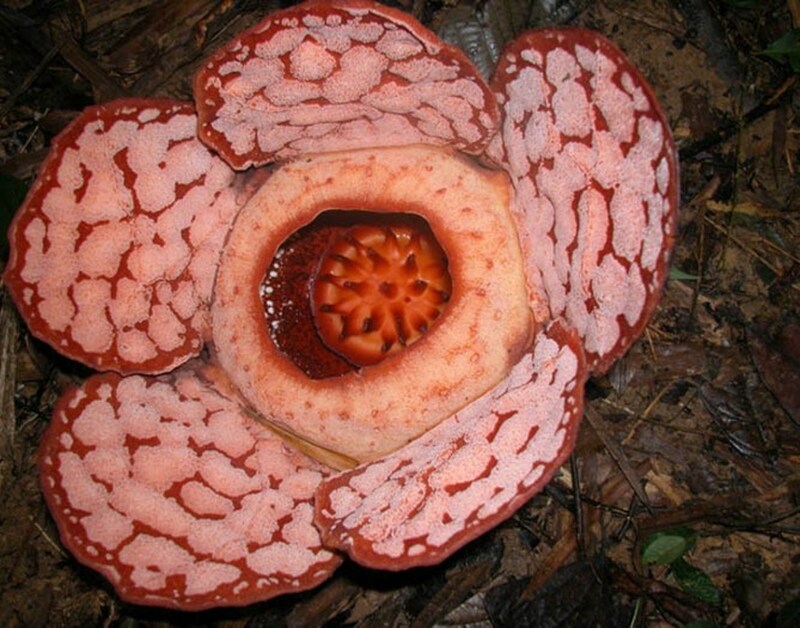 This is very similar to the species Rafflesia hasseltii. The only difference is the number of warts on the petals (perigone lobes). Rafflesia gadutensis is another species of Rafflesia and it is also a native of Sumatra, which is an island of Indonesia. This species is named after the place where it was discovered first, Ulu Gadut near Padang in Western Sumatra. 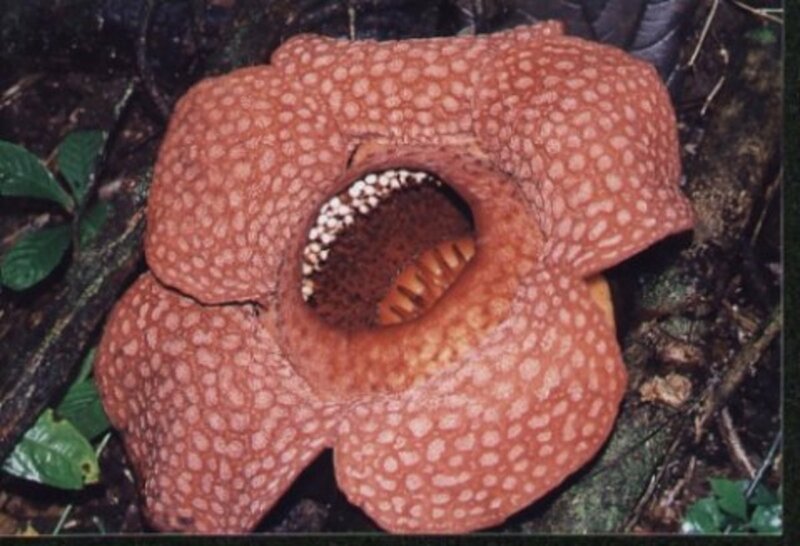 Rafflesia hasseltii is a species of Rafflesia named after its founder Mr Van Hasselt and is found in the Kerinci Seblat National Park, Sumatra, Indonesia. This is a very interesting species and is found to have wound healing properties. These were initially tested on rats, where wounds were induced and a placebo containing 5 to 10% of extracts from Rafflesia hasseltii buds were applied and for a few rats placebo without the extracts of Rafflesia hasseltii. Wounds treated with the extract of this Raffelsia healed faster than the ones that did not have the extract. In order to prepare the extracts, the flowers are cut into small pieces and washed with distilled water. These are then dried at 50 degrees Centigrade for five to seven days till they are completely dry. These dry flowers are then powdered and stored at -20 degree centigrade until use. This dry powder is extracted using a lab process and also tested for toxicity to determine the safe dose. Rafflesia keithii is another species of Rafflesia. This is named after Henry (Harry) George Keith who was the former Conservator of Forests in North Borneo. These species are found near Poring, Sabah, Malaysia and can grow up to 90 centimeters to 1 meter in diameter. Rafflesia kerrii is another species of Rafflesia and is again found in the rain forests of Southern part of Thailand and Peninsular Malaysia. It is named after the Irish Botanist A F G Kerr employed by the government of Thailand, who first found them. 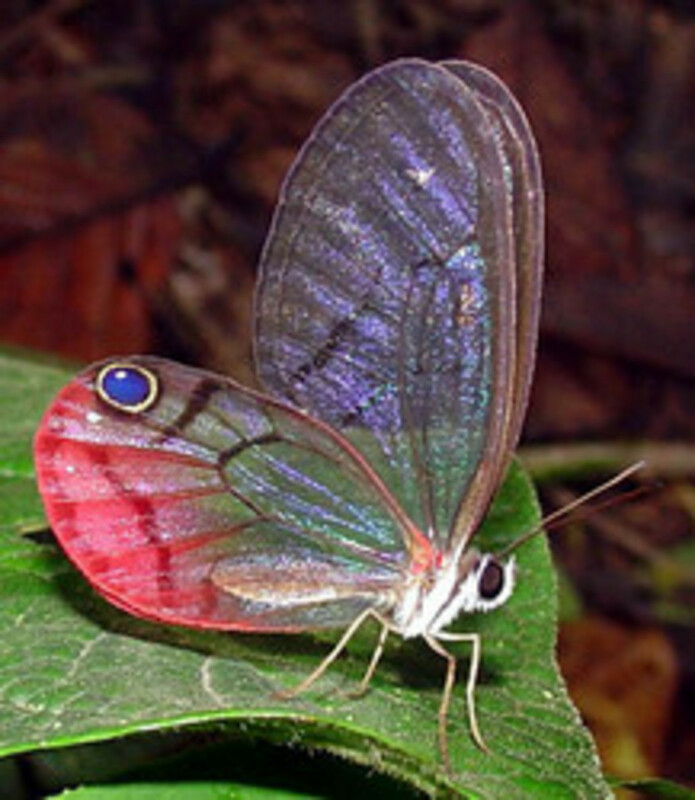 It is found mostly in the Khao Sok National Park. Research also states that clusters of these species were found in the Rainforest in the Lojing Highlands (near the Cameron Highlands), Kelanatan, Malaysia. 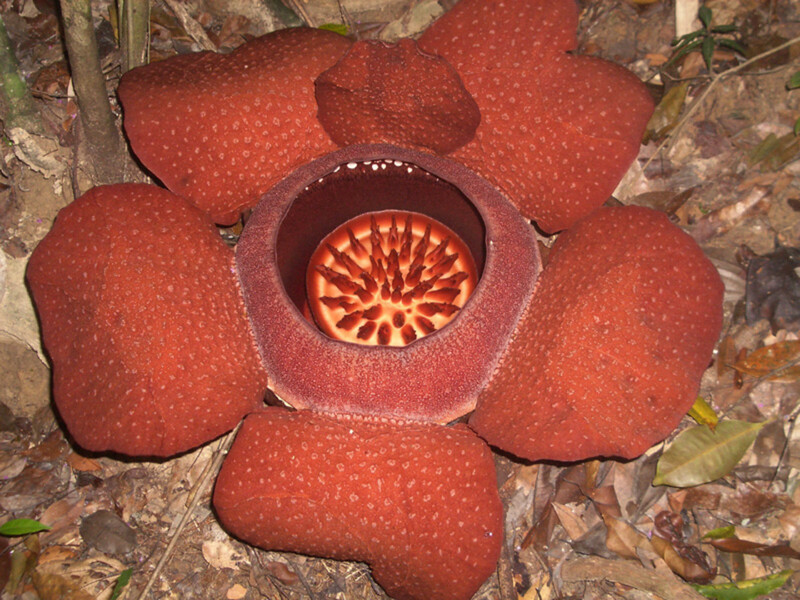 This species is the second largest flower in the Rafflesia family after the species Rafflesia arnoldii. This flower grows from 50 to 90 centimeters in diameter. 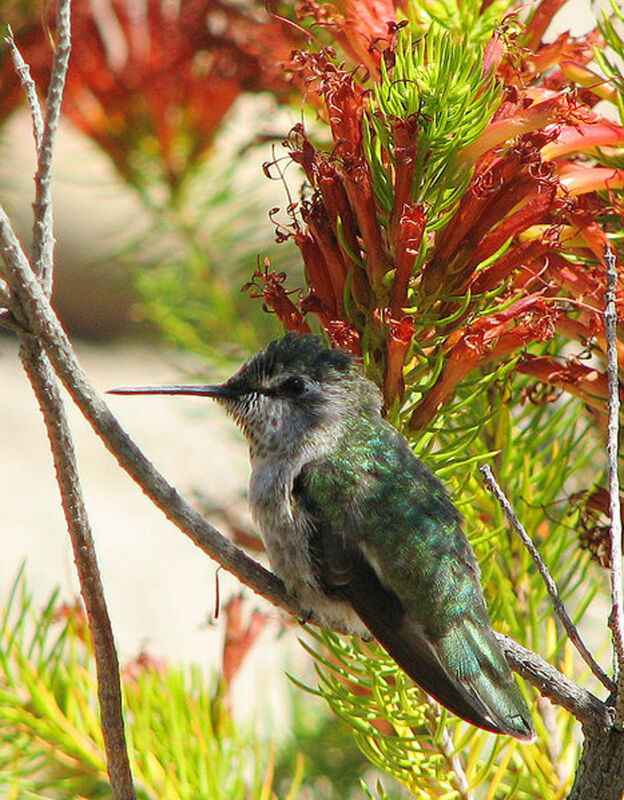 These species are highly endangered and are also famous for their medicinal use and other general use as tonics. Rafflesia leonardi is a species of Rafflesia and is found in the coastal town of Lallo, Cagayan province, Philippines. This species was named by Julie Barcelona and colleagues after the Filipino botanist and taxonomist Dr Leonardo. 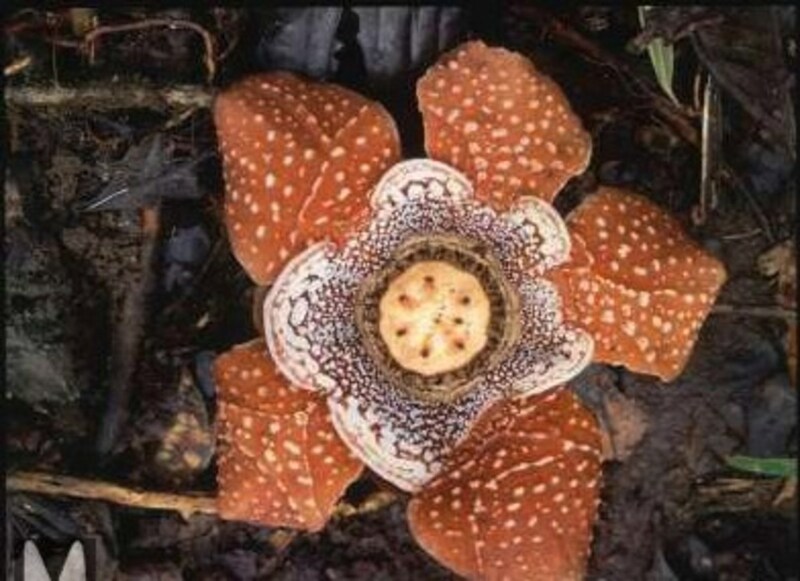 This species also resembles Rafflesia manillana except for the size of the central disk. 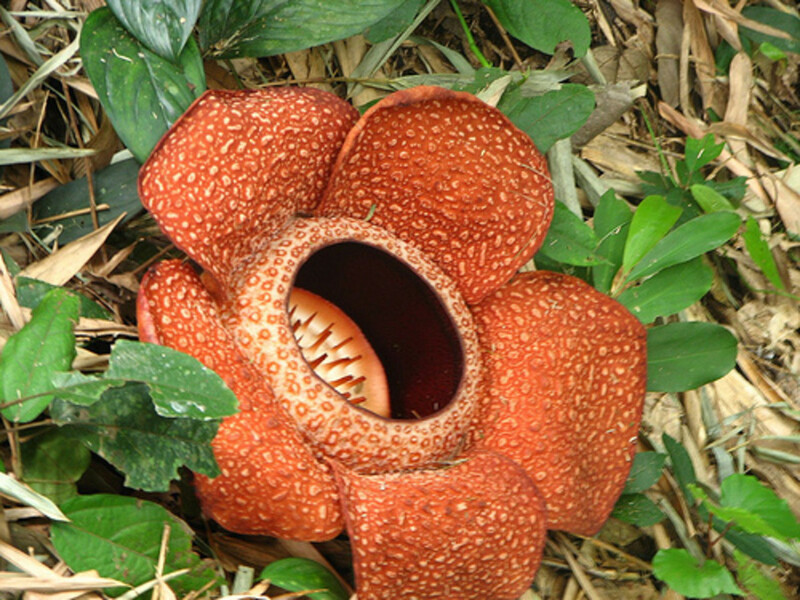 This is believed to be the third largest of the Rafflesia species. Rafflesia lobata is a species of rafflesia found in the Island of Panay in the Philippines. It is one of the two species found in the Island of Panay. This species was found by an Australian based conservation biologist, Renee Galang. 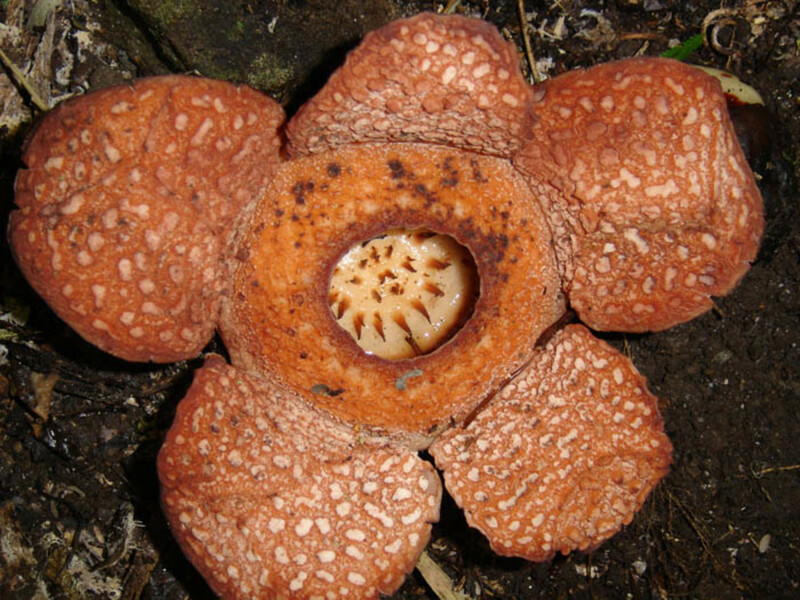 He first observed this during a Spotted Deer expedition on the island of Panay and this flower looked very unusual compared to the other Rafflesia species. This flower as its name states, has a lobed diaphragm and hence the name. As you can see from the picture, the diaphragm opens outward instead of folding inward unlike the other species. 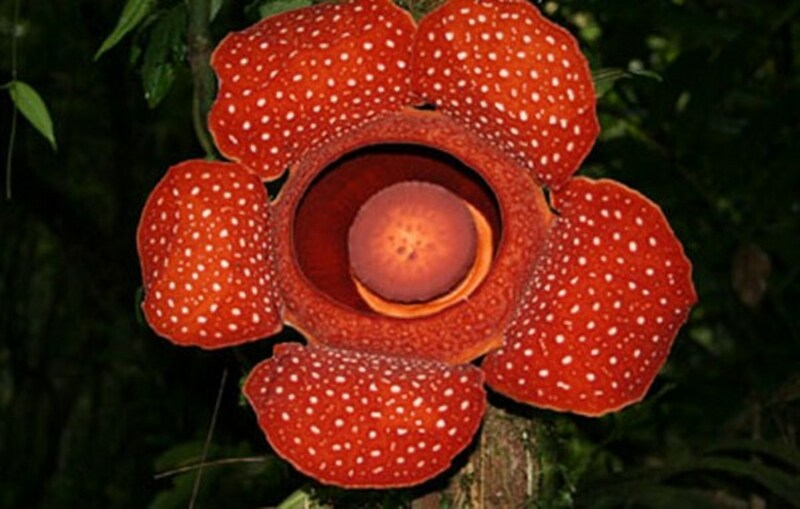 To read more about Rafflesia and its features, please follow the link below. 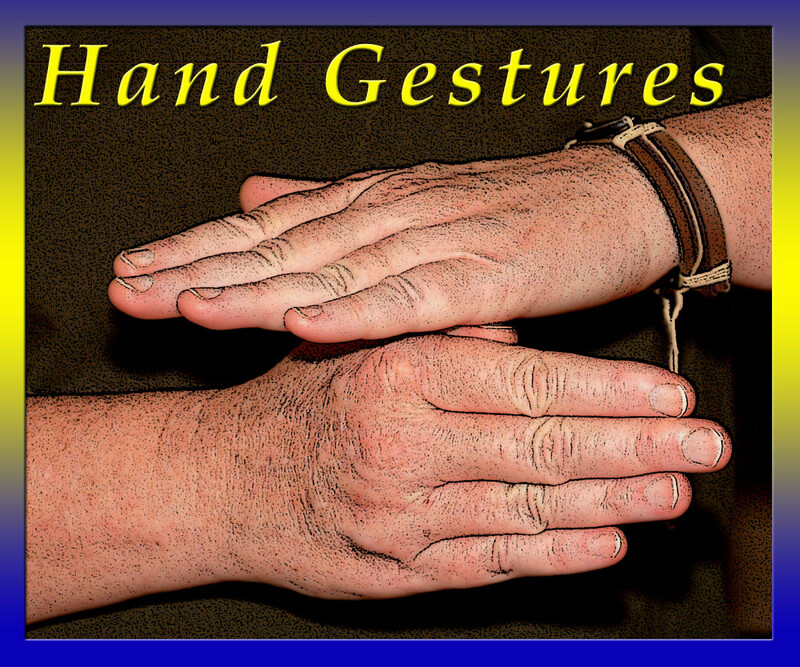 Thank you for the post, photos and information. Hello Ananya, thank you for stopping by and sharing your opinion here. I'll definitely have a look into this and add more information. @Pearldiver, I am so sorry for not having replied to your comment. This is valuable advice that you have provided me with. Will be working on this shortly, will add as much info as I can. Thank you so much. @Lastheart, you are welcome, I collected them over the internet! 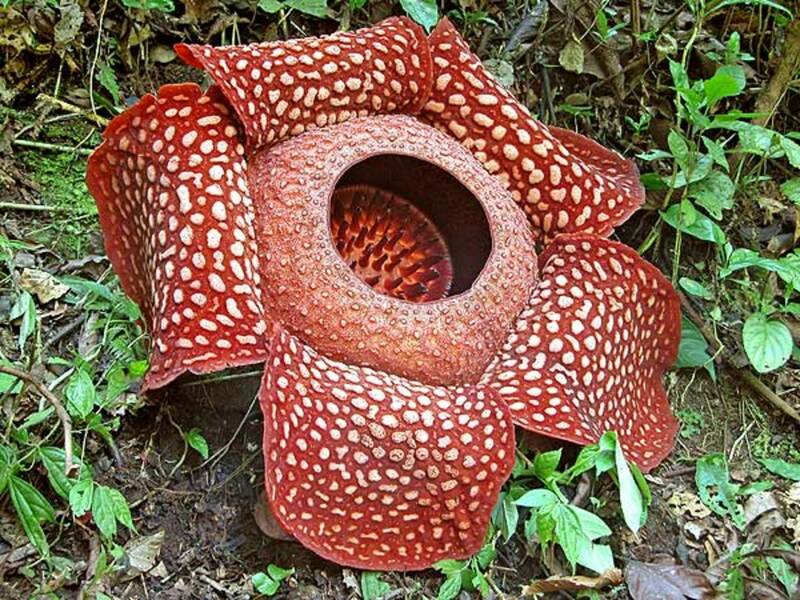 I wrote a hub about this flower and as I was writing I found your pictures so I link you:World's Biggest Flower. Sorry Zatalat, I will add more info ! This hub lacks information in descriptive form. 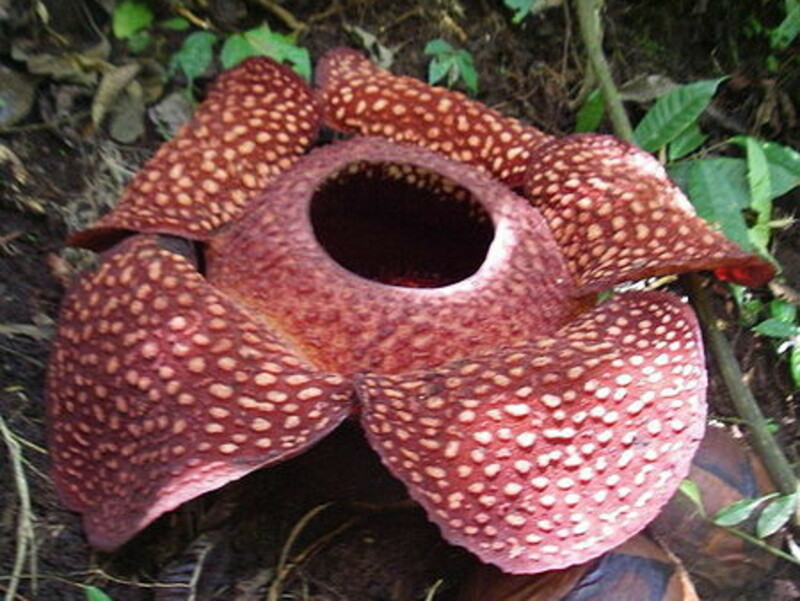 Would you give some information about the Rafflesia? Livingsta, You have the ability to have this hub scoring in the high 80s if you do some work with it. Your pics are awesome; but you have no text substance atm. I know it is a photo gallery; but for those of us that what some info on where, how, when and why they grow, you are asking us to seek what you can provide, elsewhere. Please add some real text to each pic, (and more opening info) so that we can gain that info - from you! 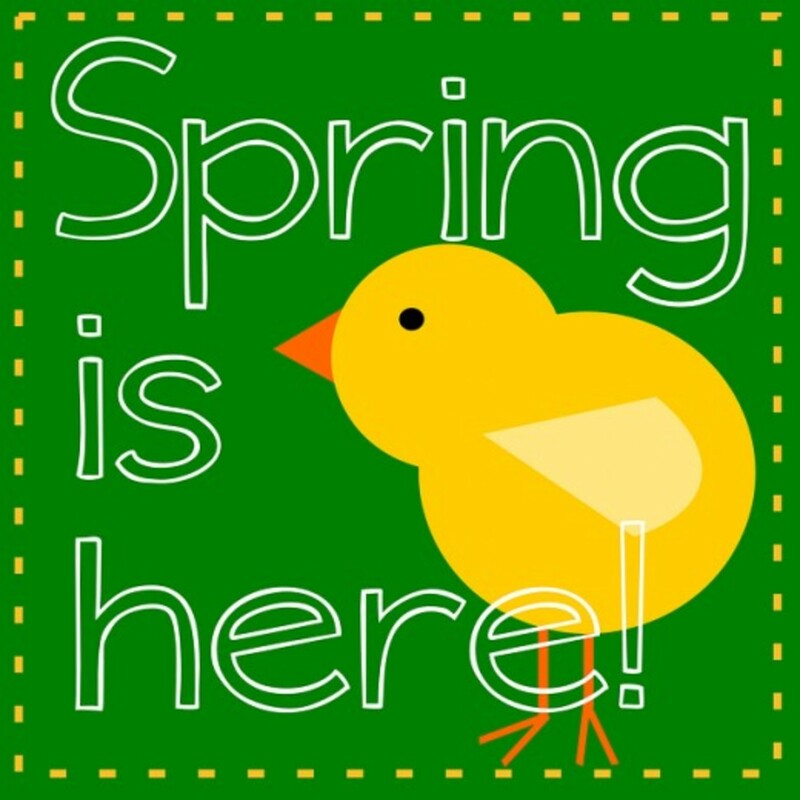 You will get so much more traffic and gain a great following. Sorry if you think I'm being critical... I'm Not. I would love to see how far you can grow here, with a little more effort. Rafflesias are amazing and only native to a tiny spot of this world. Trust me; the effort will pay off.